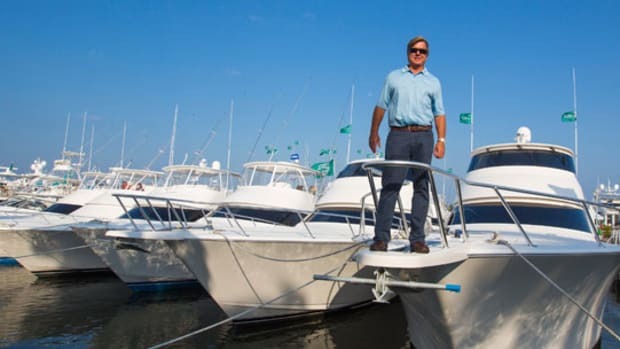 Some years ago, as a means of expanding and diversifying its product offerings, New Jersey-based Viking Yachts forged a strategic alliance with England’s Princess Yachts to produce the Viking Sport Cruisers line. 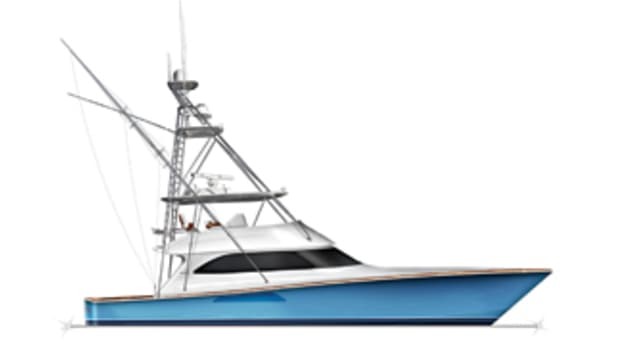 Now, as Viking sets its sights on building a line of custom motoryachts, it has employed a similar strategy, forming a collaborative relationship with Sanlorenzo Yachts. 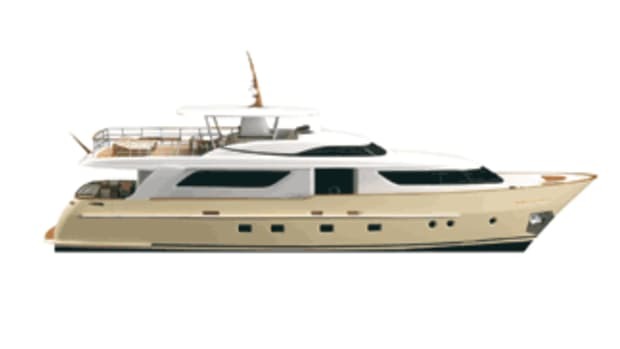 Based in the world-renowned yacht-building center of Viareggio, Italy, Sanlorenzo enjoys its own strong reputation for fine Italian craftsmanship and design, making it an ideal partner for building the new line, called Viking Custom Yachts by Sanlorenzo. 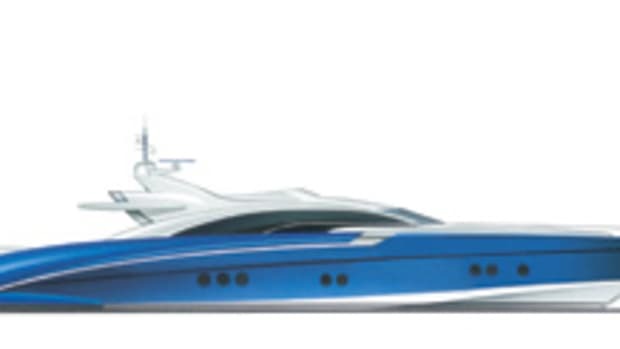 Each yacht will be custom built to her owner’s specifications. 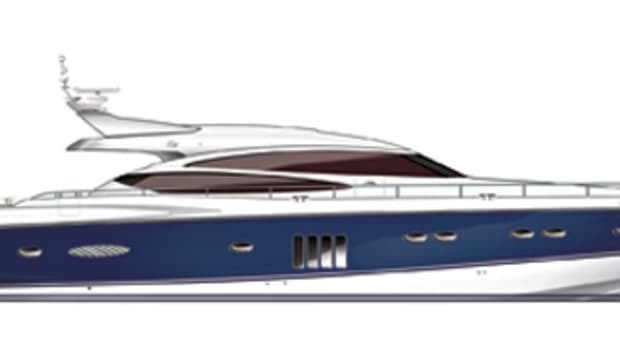 The first in the series is an 88-footer that offers four staterooms on the lower deck, including a spacious, full-beam owner’s suite just aft of amidships and a second full-beam suite forward for VIP guests. 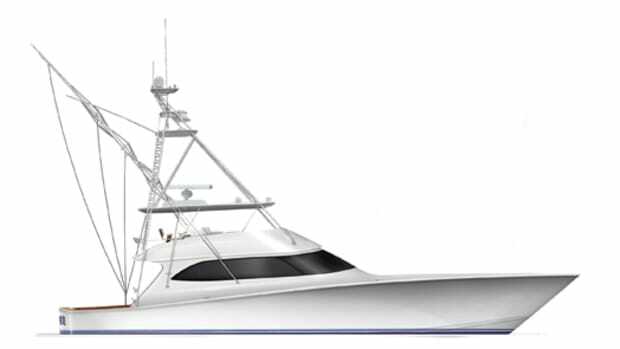 The upper decks offer a multitude of indoor and outdoor spaces for dining and entertaining: a casual country kitchen, a formal dining room, a large alfresco area on the aft deck, and on the flying bridge, a full wet bar and a U-shape settee beneath the hardtop. 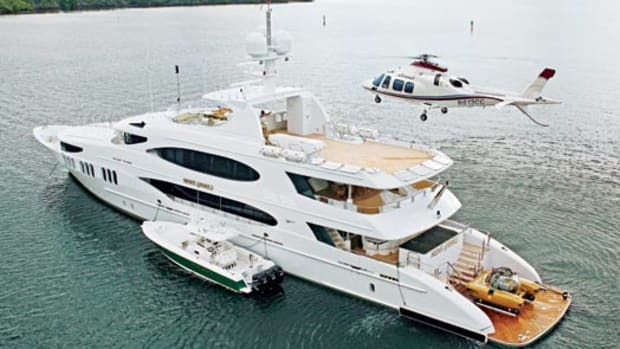 Aft on the bridge deck there’s a large sunpad along with space to stow the tender and davit. The yacht’s interior is a rich tapestry that reflects the merger of Italian styling and a palette of luxurious fabrics and textures. Warm tones of makore wood complement an Italian marble bar in the dining area, while pillowed backrests of Faberge silk play against the golden-tone leather sofas in the saloon. Even the day head is striking, boasting a one-of-a-kind sink that’s been hand-painted and inlaid with copper. 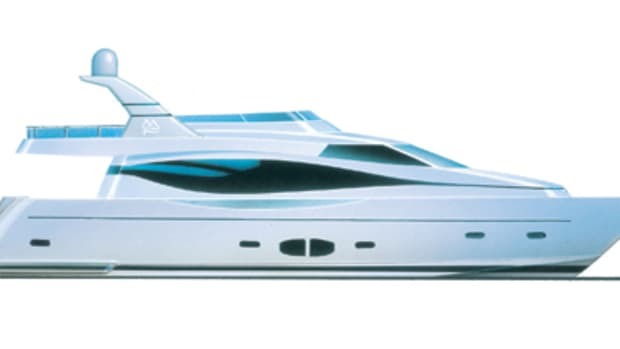 In a more functional vein, the hull is constructed of a solid-fiberglass laminate while the upper decks and superstructure are cored with PVC foam to reduce topside weight. To achieve maximum comfort in the accommodation areas, the machinery space gets a multifaceted treatment to optimize thermal and acoustic insulation. The engine- room bulkheads are lined with specially engineered panels to absorb heat, sound, and vibration, supplementing the more conventional lead sheet and rock-wool layer also applied to the bulkheads and overhead. Like a model child, the 88 is meant to be seen, but not heard.